Leaving the hair salon with the exact results you entered for is a feeling we all hope to achieve with each visit. But when it comes to hair color appointments, sometimes the results aren’t everything we wished they would be. Most of the time this is due to a lack of communication between you and your stylist, however, there are a few extra steps that can be taken beforehand to help the process move along smoothly. 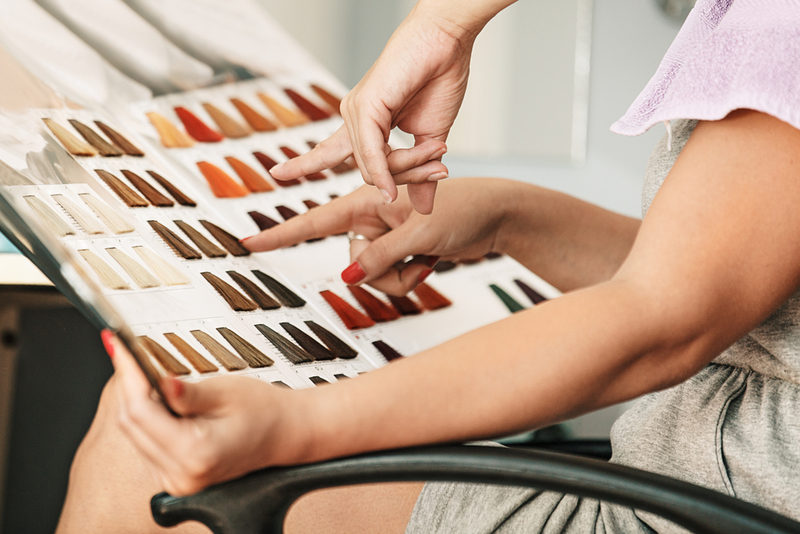 It may seem odd to prepare for a hair color appointment, but here are a few things to keep in mind so your colorist can count on you just like you count on them. Like most beauty appointments, the more complex the procedure is, the longer the appointment will take. 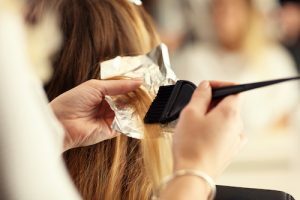 While many salons understand the stringent schedule many ladies are handling and they’ll move as quickly as possible, it’s important to keep in mind the steps involved in hair coloring such as re-cleaning tools, finishing up the customer prior, or allowing time for applications to work. Setting your appointment with a bit of free time before and afterward can alleviate the potential of rushing your hair color specialist, resulting in less pressure and fewer mistakes. Another tip for cutting down the time your coloring will take would be bringing in a photo that can be used for reference. In fact, many hair color specialists near me have personally recommended bringing in at least 3-5 photos to help your stylist understand what look you’re going for. Keep in mind to not only bring the photos into your appointment but to also pinpoint exactly what it is your adore about each appearance. Without getting too heavy with trendy lingo, be able to discuss the specific placement of your highlights or the different effects achieved through different color schemes. Clarifying these smaller details will only work to help your stylist zoom in on precisely the result you seek. Before and after your hair salon appointment, it’s important to treat your hair in ways that support its health so that it can be protected from harsh elements. 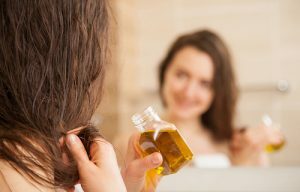 For example, infusing rich oils filled with antioxidants into your scalp can provide ample heat protection against tools that can damage your strands. Likewise, certain oils can work wonders to protect your hair from overexposure to sunlight and salty, humid air. Without upholding protection from these elements, consistent heat styling or recoloring will begin to breakdown your hair or unnaturally alter its color. Finally, after visiting my hair color specialist near me, it’s imperative to lessen the number of shampoo days thereafter. By minimizing shampoo sessions after receiving hair color, you can extend the timespan your color will maintain. However, when it is in fact time to shampoo your hair, consider using a hair treatment mask in your regimen to help add moisturization and protection. Above all, ensuring that your hair products contain minimal chemicals or unneeded fragrance will go a long way to strengthen and support your scalp. On a final note, if you’re ever unsure about which direction to take your precious hairstyle, don’t be afraid to schedule a consultation at your hair salon. With so many different approaches, products, and hair types to deal with, selecting the right look for you can be a project in itself. Whether it be performing a 360-degree spin on the look I’ve had for years, or simply adding a bit of flare, when I visit my hair color specialist near me, I’m all ears for their suggestions. Hopefully, this small guide can help your next hair color appointment go swimmingly toward the look you’ve been dreaming of.